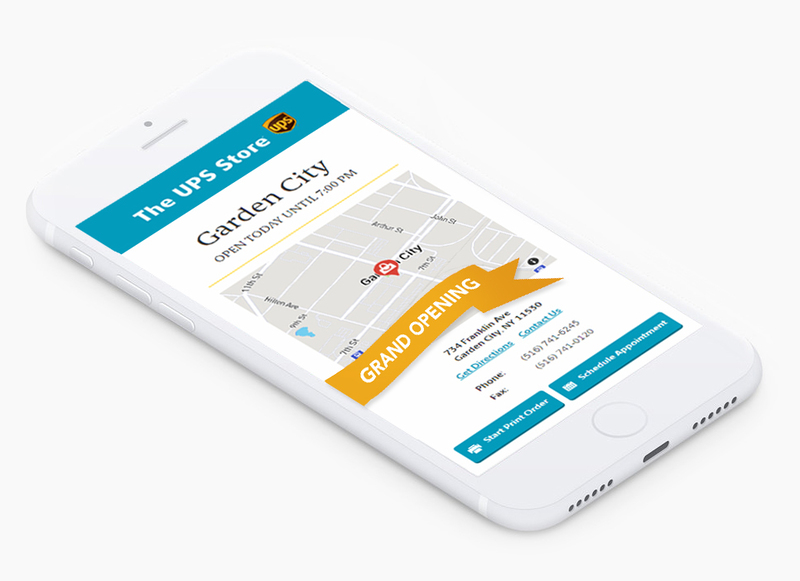 The UPS Store — . The world’s largest franchisor of retail shipping and business services came to us to promote three new locations on Long Island. Creating branded content for social media, developing print advertising and building buzz with store-specific videos, our awareness campaign delivered results. We brought a fresh look to the campaign with eye-catching custom graphics. Android ads were designed in parallel with iOS, taking advantage of the platform-specific nuances. Working with the franchisees, we developed an awareness campaign to educate consumers about the unusual and unexpected items The UPS Store is capable of shipping worldwide. We launched an ad campaign to humanize the businesses and address industry-inherent issues (i.e. delivery problems, finding time to pack-and-ship).